Participants will demonstrate understanding of Mutual-Aid model of group psychotherapy through experiential exercises that include observation and role-plays. Numerous learning techniques will be implemented, including lecture, demonstration, interactive role-plays, and audio/visual learning aids. Group members will communicate how the skills and concepts reviewed in the session can be applied in the clinician’s daily practice. Bernard K. Showers III is a Certified Advanced Alcohol & Drug Counselor (CAADC) as well as a Licensed Clinical Social Worker (LCSW) in Pennsylvania. During his seven years of experience, Bernard has worked in various mental health settings. He has developed an expertise in Motivational Interviewing. Bernard was nominated to be a National Consultant in the Department of Veterans Affairs for Motivational Interviewing and Motivational Enhancement Therapy, and since then has presented to a number of local, regional, and national audiences. He is also one of approximately 1,500 members who completed the Motivational Interviewing Network of Trainers Train-the-Trainer. 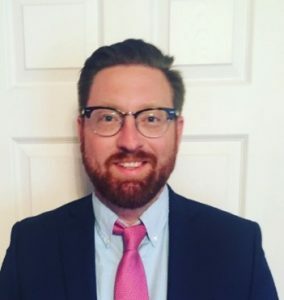 Bernard is currently an Adjunct Professor at Shippensburg University in PA and an outpatient Behavioral Health Social Worker at the Department of Veterans Affairs in PA.